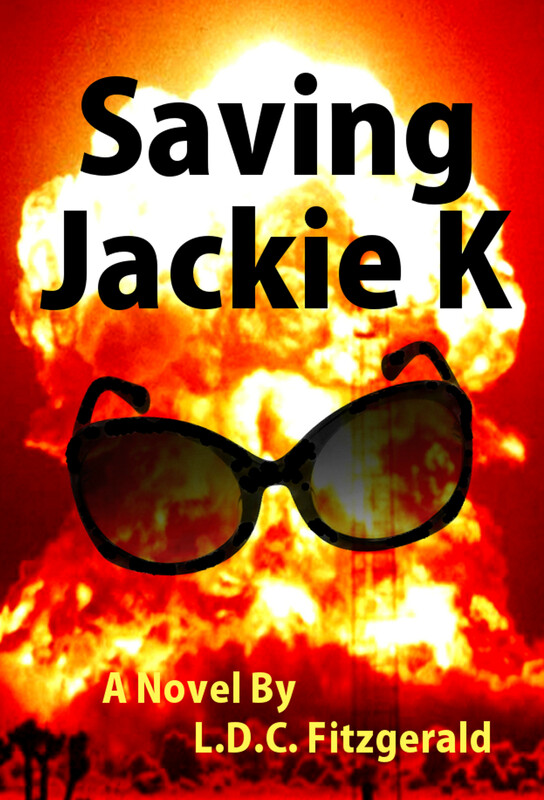 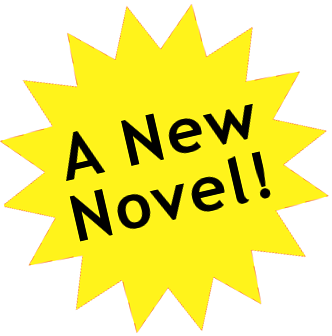 In Saving Jackie K Chapter FourFederal prison escapees Iggy and Sera flee from their jailer by suspending themselves under the New Hope Bridge with climbers' apparatus. 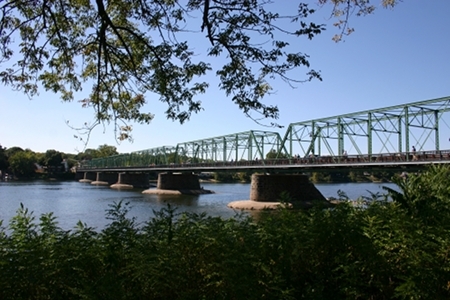 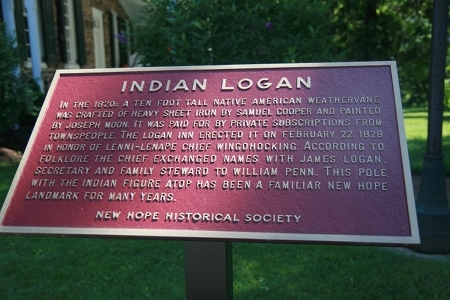 In this manner, they cross the Delaware River from New Jersey into Pennsylvania, and meet Jay at the Logan Inn. The New Hope Bridge rising proudly over the Delaware on seven supports cemented with river stone. 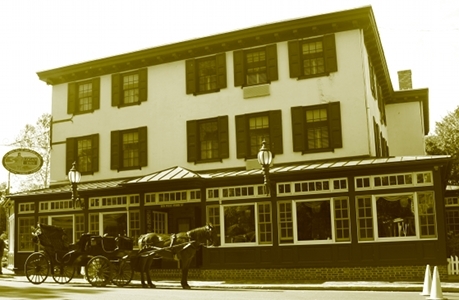 The oldest inn in town, the Logan Inn is named after a Lenni-Lenape Indian chief regarded for his unusual camaraderie with Caucasian settlers. 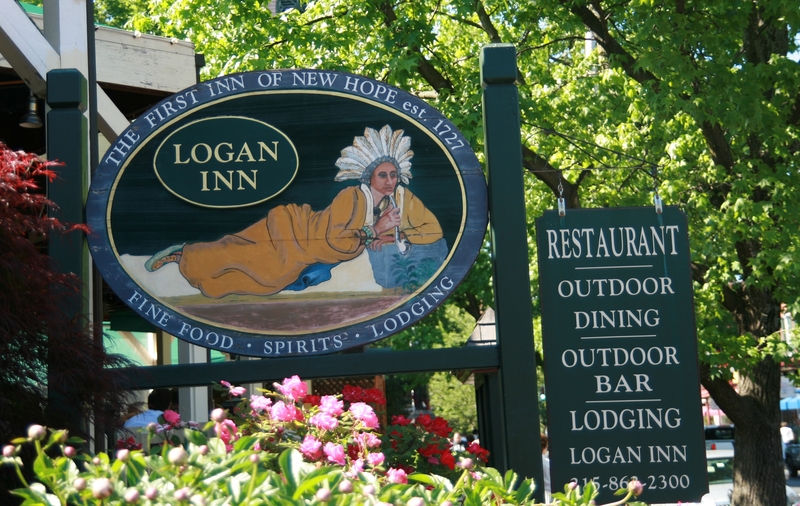 The Logan Inn boasts colonial paintings in the lobby, and original stone walls surrounding polished wooden floors, making for a quaint weekend destination. 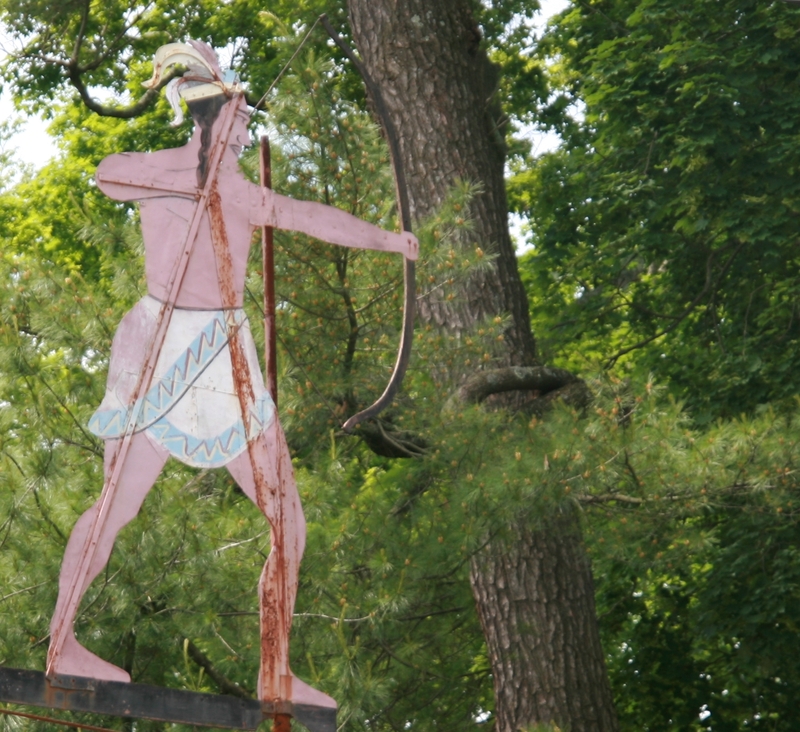 Chief Logan depicted in a ten-foot, painted sheet iron figure in feathered headdress, nobly aiming an arrow. 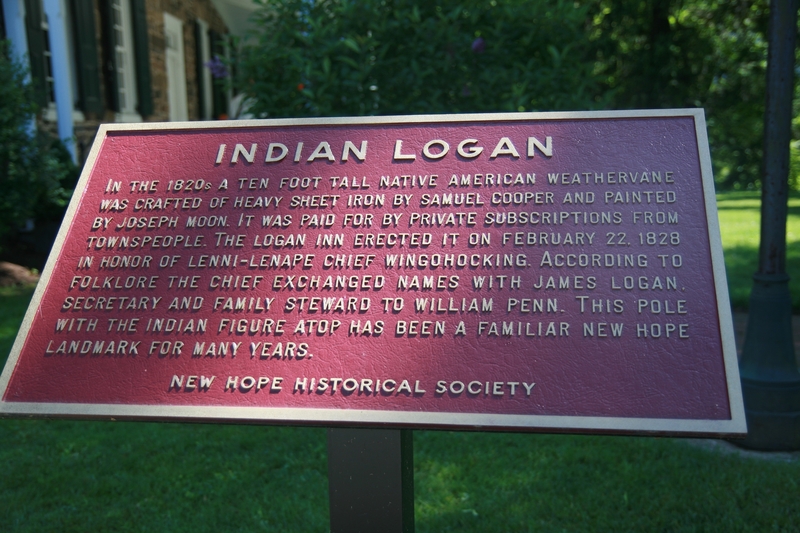 Historical Marker for the sheet iron memorial of Chief Logan - a familiar New Hope landmark and guardian of the township since 1828. 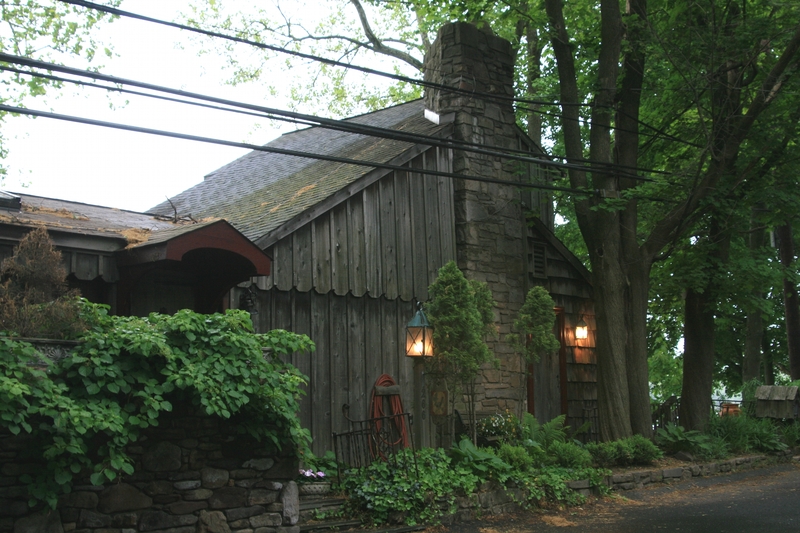 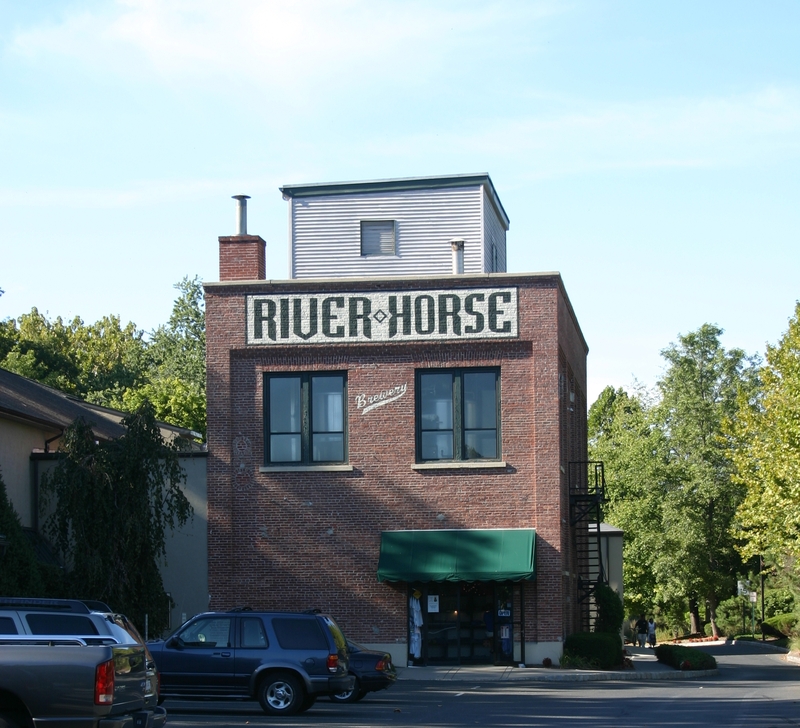 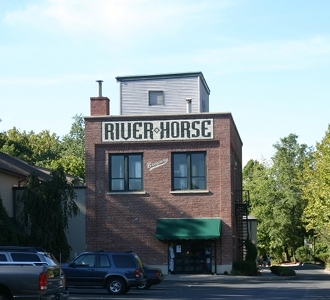 River Horse Brewery, a high-end microbrewery in Lambertville, New Jersey. 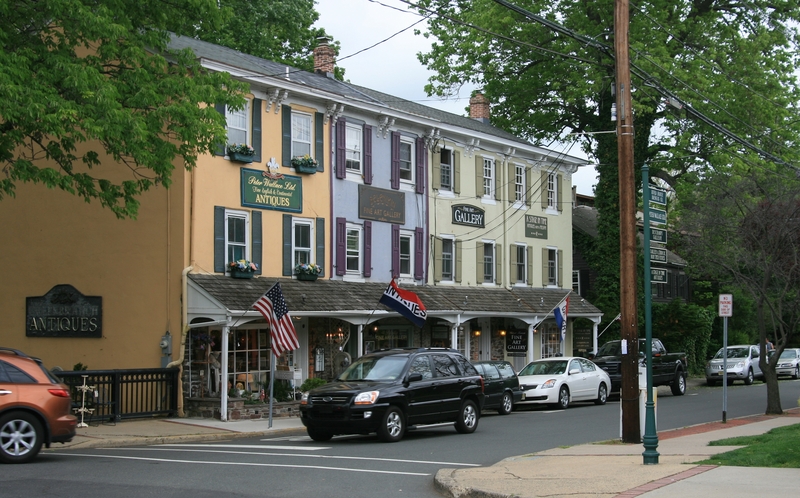 A Stage In Time (end of store row), an antique shop in Lambertville selling Arts and Crafts furniture and vintage magazines. 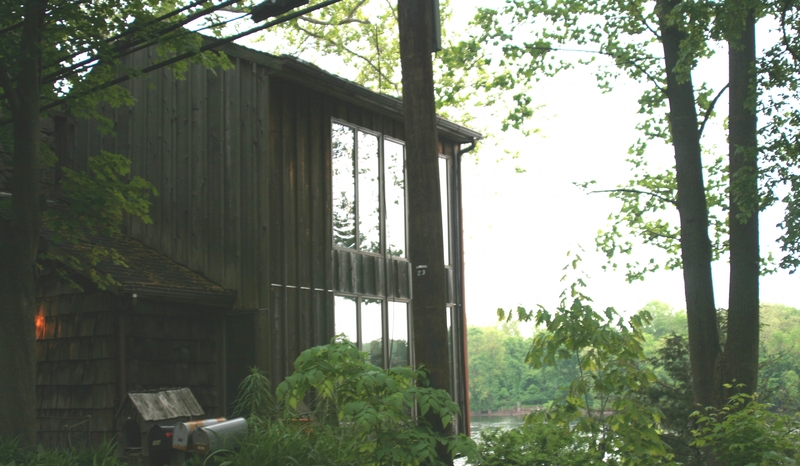 Dee's House, covered in weathered cedar shingles, standing on stilts on the bank of the Delaware River. Dee's House, with a two-story addition on the water's edge showcasing floor-to-ceiling windows on three sides.